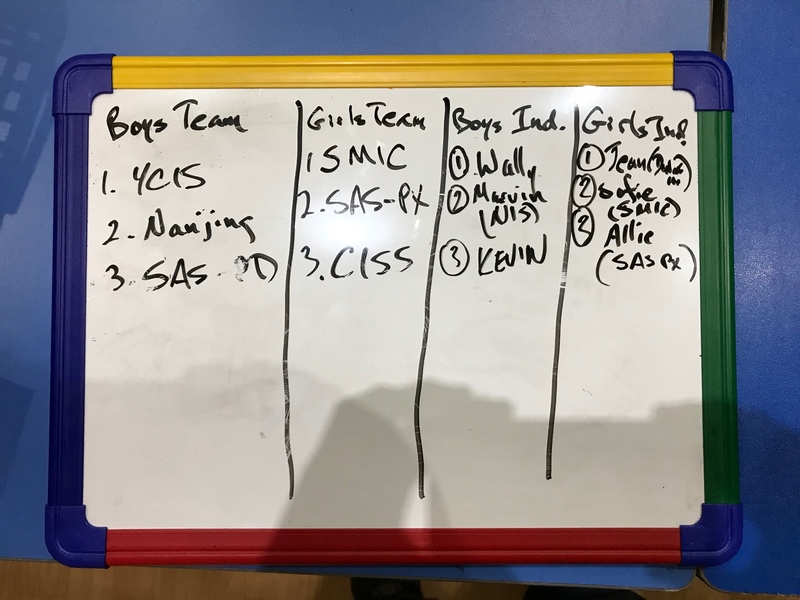 On Saturday, November 18th, YCIS Gubei once more hosted the SISAC Table Tennis championships with Wally Tsao, Kevin Tsao, Randy Zhang, and Johnathon Jones representing YCIS Gubei, both Wally and Kevin coming in 1st and 3rd , respectively, leading the way to another school championship. 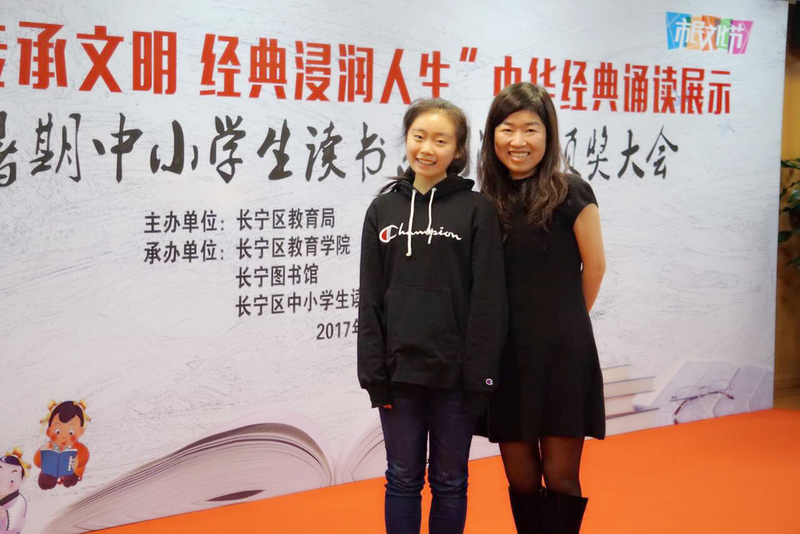 The tournament was a great success with such distinguished institutions in attendance as Nanjing International School, SMIC International School, and Shanghai American School (Puxi), all hauling the best and brightest of their ping pong royalty to the outskirts of Gubei. In addition to the boys’ play, a number of girls representing the various schools made some incredible performances, as well, with SMIC coming in 1st place and SAS taking 2nd. This year, YCIS returning champions, brothers Kevin and Wally, and their teammate Randy all did a remarkable job, garnering another 1st place trophy for the school. Additionally, in the individuals, both brothers took home trophies while Marvin “The Mauler” from Nanjing International secured the 2nd place prize. Lastly, we salute our own Mr. Geoffrey Slade, Mr. Ryan Hotham, and Ms. Vanessa Fung in the P.E. department for helping to make the SISAC Table Tennis tournament not only successful and organized, but fun and exciting, too. We are thankful for the service and commitment of Ms. Saravanan as a long standing teacher and member of the YCIS Shanghai community. 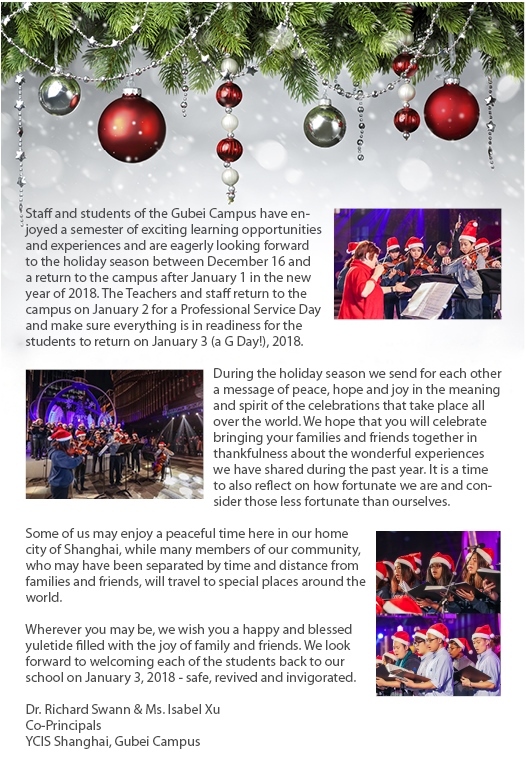 Since joining the Gubei Campus teaching staff in 2010 in the science department, Ms. Saravanan has sustained and maintained a high degree of quality student learning opportunities and experiences. As both a home room teacher and Year Level Leader in the Years 12-13 IB pastoral program of learning, she has been a caring and nurturing support and guide for the students over her years of service. 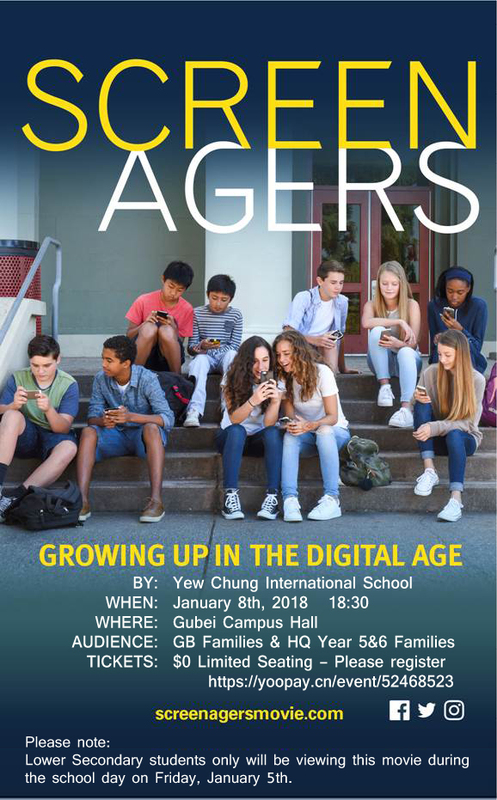 She is recognized as a mentor to her year level colleagues in developing key personal attributes of character and community in support of the YCIS Mission and Vision for student learning. 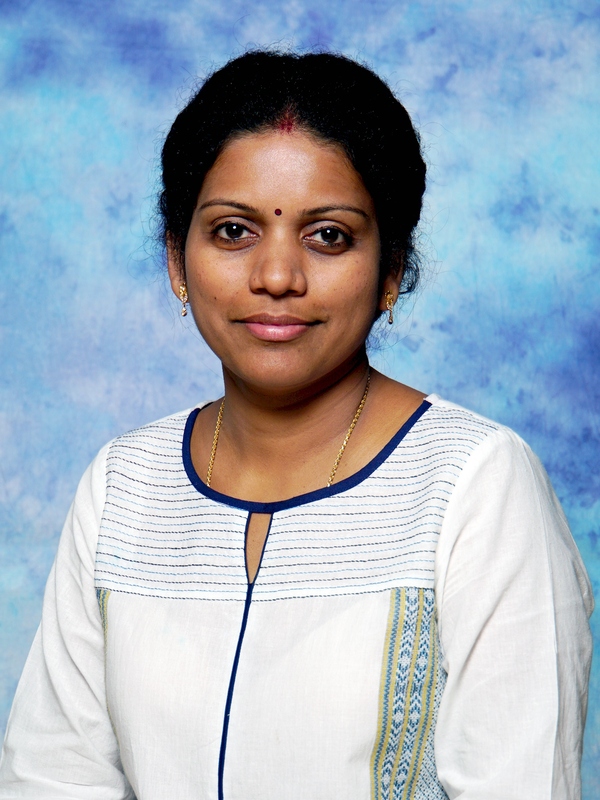 Apart from her academic teaching commitments, Ms. Saravanan has also been actively involved in the school’s co-curricular activity programme including badminton, environmental club, homework club and well-being projects. Ms. Saravanan has worked closely with her colleagues in the science department, making sure that the students learning program will not be interrupted in the transition, and that our experienced IBDP and IGCSE Biology team of teachers teachers, Ms. Hall and Mr. Hidlebrandt, will be sharing the transition, preparation and teaching of the IBDP and IGCSE Biology specialisations from second semester. We thank you for your understanding in the prepared transition for Ms. Saravanan’s classes. Teachers and students have been informed of the changes put in place and preparations and arrangements planned for the upcoming parent Teacher conferencing will be shared in early January. We wish Ms. Saravanan, and her family all the best as she, Sadhana (Year 8) and Saranya (Year 5) join their husband and father in January 2018 at his new position in Malaysia. Sifting through the endless choices of educational websites to enhance your child’s learning experience can be a daunting experience. Many of the available options can appear to be dry or absent of visual or educational imagination leading a curious student with good intentions to go down the path way of distraction and seek out their video game of choice or favorite youtube show instead. As an educator I have often referred parents to Khan Academy which is educationally consistent and provides effective videos to explain difficult concepts. Mathletics is a regular online resource here at YCIS in the math department and is easy for students to access as well. However, I often refer to another web site which I have used for many years and that is effective. It doesn’t draw too much time away from a class lesson or assignment, and provides some entertainment value…the web site is BrainPop. Brainpop is comprised of short videos ranging in time from 3-5 minutes on many topics for students in Years 7-13. Valuable information is provided, with clear, concise explanations, and can help open a student’s mind for further inquiry. The animated characters, Tim and Moby also bring an entertainment value providing a humour based dialogue at the end that comes across as both fun and silly, yet makes you laugh and encourages the student to re-watch for a second time. YCIS has a subscription to Brainpop and can also be used for teachers to supplement their instruction. 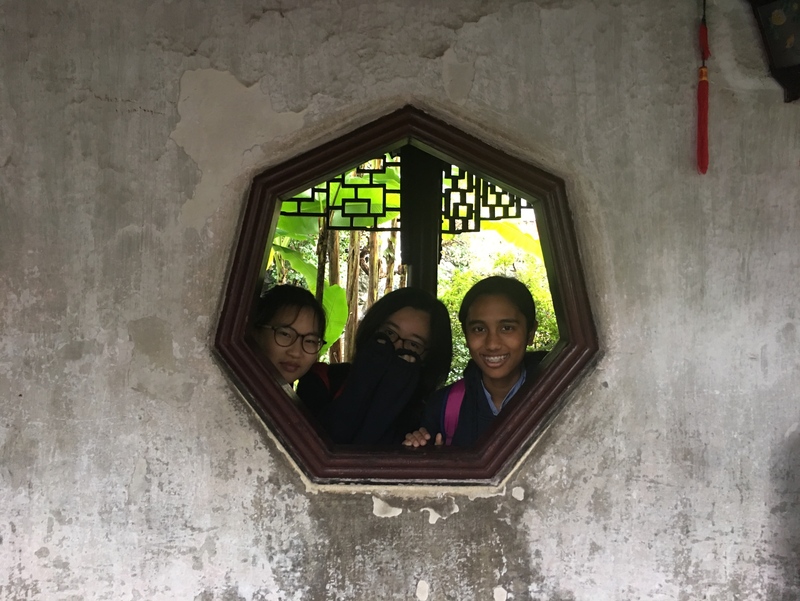 Last Friday, the CAL-5 students from Year 9,10 and 11 went to Shanghai Yu Yuan Garden to see some historical Chinese architecture and enjoy the view of nature. We were also asked to complete a worksheet related to the garden. Although it was raining that day, all students had a bit of fun while visiting several scenic spots in the garden. Some of the historical sites we saw were the Yu Tao Pavilion (豫涛亭), the Giant Rockery (巨型假山), and the Nine Zig-Zag Bridge, which connects to the Pavilion. From what I saw, I think that out of the three historical sites, the most interesting was the “Nine Zig-Zag Bridge”, because it was constructed at perpendicular angles from start to the end. The pattern of the bridge looked quite fascinating, being quite different to the normal bridges we see in the city. At the end of the trip, some of our classmates bought a few souvenirs to remember their visit, and we also had a few snacks along the way. Overall, it was a nice experience for me and my classmates, one that we won’t forget. 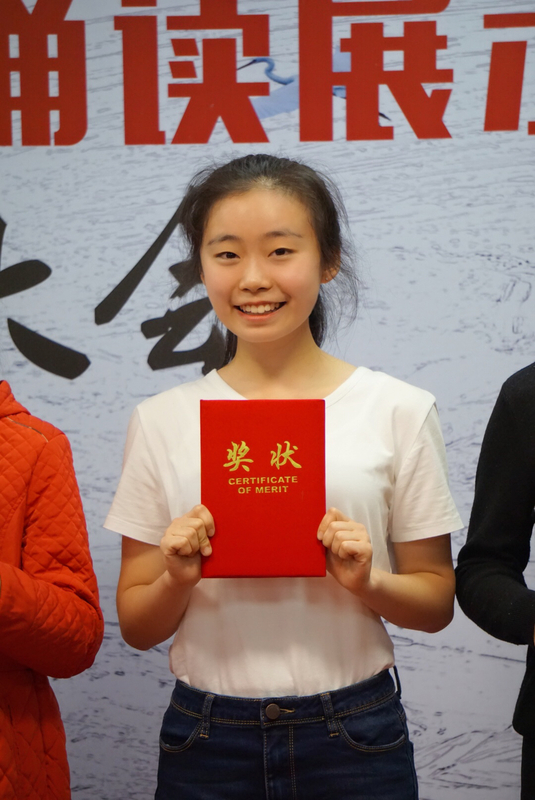 History was in the making at the recent 2017 ACAMIS Table Tennis championships on Friday 24th and Saturday 25th November held at YCIS Beijing. The Senior Boys team won all three competitions – Singles, Doubles and Teams. Thus Gold medals were won for each of these and even a Silver medal was won in the Doubles as the final was between YCIS teams only. This indicates how strong our Senior Boys team was at these championships. YCIS Shanghai Gubei had 3 teams participating (9 boys in total) which was more than any other school. Medals were won by 4 of the 9 boys. It was indeed a great two days of table tennis. Overall 8 medals were won. 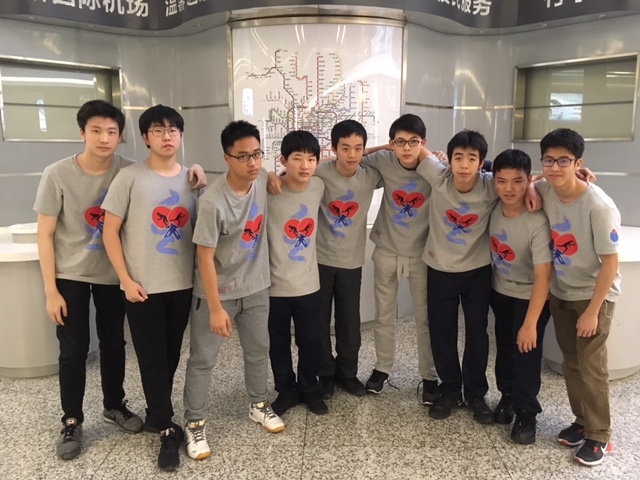 All the boys played to the best of their ability and showed good sportsmanship and exemplary behaviour that makes YCIS Shanghai Gubei proud that they are students representing the school. A special mention must be made about one of our long-standing team members, Wally Tsao. Wally has been a member of Senior Boys Table Tennis since 2014 and he has won medals at every competition, whether at SISAC or ACAMIS. He has been Singles champion, Doubles champion and Teams champion. Wally is a very quiet boy who lets his table tennis bat do the ‘talking’. His success at every SISAC and ACAMIS tournament is a testimony to his enthusiasm and commitment to table tennis at YCIS Shanghai Gubei. Wally will not be part of Senior Boys Table Tennis next year as he is in his final year at school. He will be missed but the memories of his performances will live on. 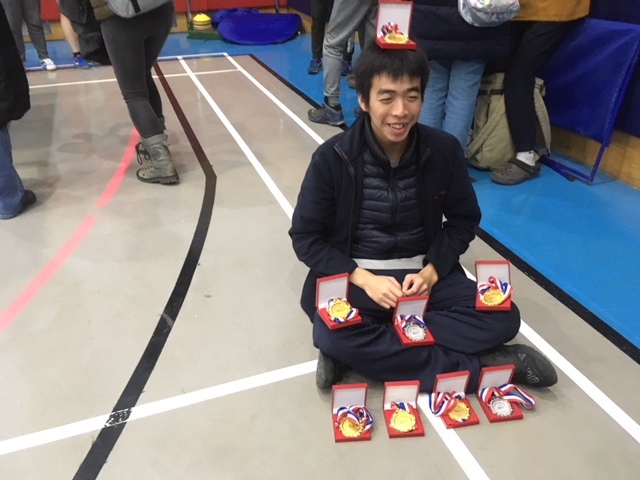 Kevin Tsao, the 2017 ACAMIS Senior Boys Table Tennis champion, proudly displays all the medals won by YCIS. The winning 2017 ACAMIS YCIS Senior Boys Table Tennis players: From left to right – Randy Zhang, Harry Seo, Wayne Foo, Daniel Lee, Wally Tsao, Jonathan Jones, Kevin Tsao, Gene Lin and Uharn Tan.